I write stories in my head when I fall asleep, it’s how I relax at night. The Lie started out like this, and eventually I started writing down bits and pieces of it a few years ago. I finally decided to put it all together as a whole novel, and then realized that I had a lot more than I thought, so it turned into a series. I love vampires, magic, fantasy and the unknown, and most of my stories start from there. I also love history and always thought Elizabeth Bathory would make a great villain, so I twisted a little fact in with a little fiction and she became my antagonist. 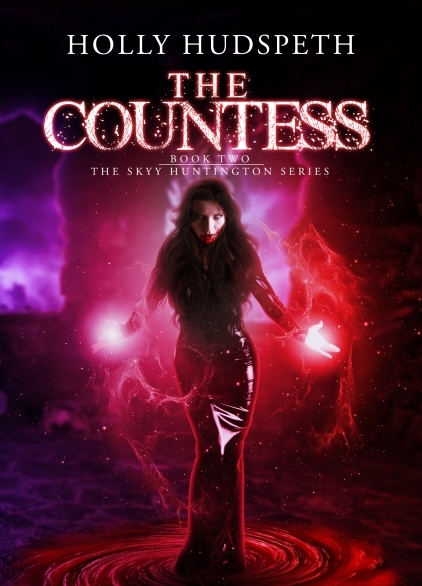 The Countess – Book 2 in The Skyy Huntington Series is out now. Book 3 will be out by the end of 2013, and I am also writing two other novels which have nothing to do with the series which will be out in 2014. For Aiden I envision either Aiden Turner (from All My Children) or Liam McIntyre (from Spartacus). For Skyy it’s a lot harder – Isla Fischer has the perfect hair but not sure I envision her as “Skyy” so I’ll have to think on that one. When I wrote Lucius I kind of based him loosely off of Gary Oldman in Bram Stoker’s Dracula (the human version) where he is all buffed up and long brown hair. I could easily see Gwyneth Paltrow as Fiona, though she is way too tall! Christian could possibly be played by Christian Bale. What is the one or two-sentence synopsis of your book? 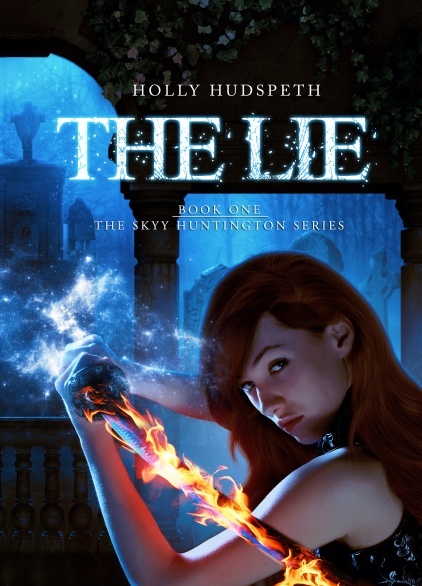 A centuries-old lie throws twenty-eight year old Skyy Huntington head first into the supernatural world, where she meets both friends and enemies, learns magic exists, and begins an adventure that will have her fighting for her life. Is your book self-published, or represented/published by an agency? For The Lie about two months once I actually started officially writing it all down. The Countess was totally done, rough draft to final version, in about a month. I’ve been told by more than a few fans that my books are not like any others they have read in the genre. I’d like to think that they are unique and stand out in the crowd! My genuine love of literature was my real inspiration. I love to read but previously I had only messed around with writing short stories. I have been a vampire fan since I was a young teen, seeking out anything I could get my hands on about vampires: movies, books, art, etc. I figured I’d take a chance and write down my own story and see where it went! violence, history, and magic. It’s a non-stop adventure!